At the top of the page you’ll see all your favorites. That’s handy, although there are other ways to get to your favorites. Perhaps more interesting, and potentially more useful, is the section directly beneath your favorites, the section labeled Suggested for You. This section is interesting because it uses machine learning to suggest Looks and Dashboards you might be interested in. These suggestions are based not only on your viewing patterns, but also on the viewing patterns of people who belong to the same group as you do. 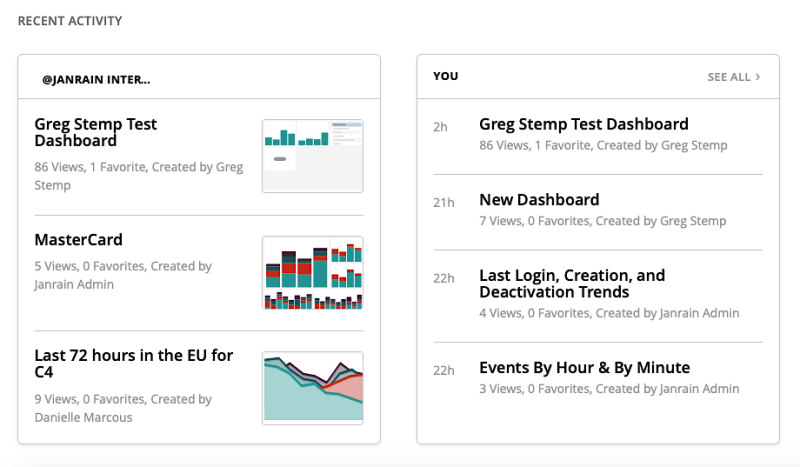 If your peers consistently gravitate towards a particular Dashboard, that Dashboard is likely to show up in the Suggested for You section. As a result, you might discover a useful tool you might otherwise have overlooked. Note. You know how, when you go to an online store, you’re likely to see a section that says something like, “People who looked at this item also looked at the following items” (e.g., people who looked at this kayak also looked at lifejackets and paddles)? Suggested for You is similar to that. Another useful addition is the right sidebar, which is reserved for links and announcements. 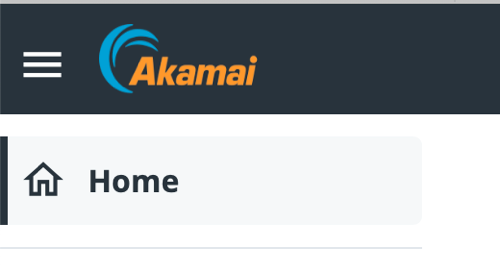 At the very top of the sidebar is a button labeled Browse Reports; click that, and a new tab opens up to the Shared space. (Very handy for those of who’ve gotten used to working in that space.) 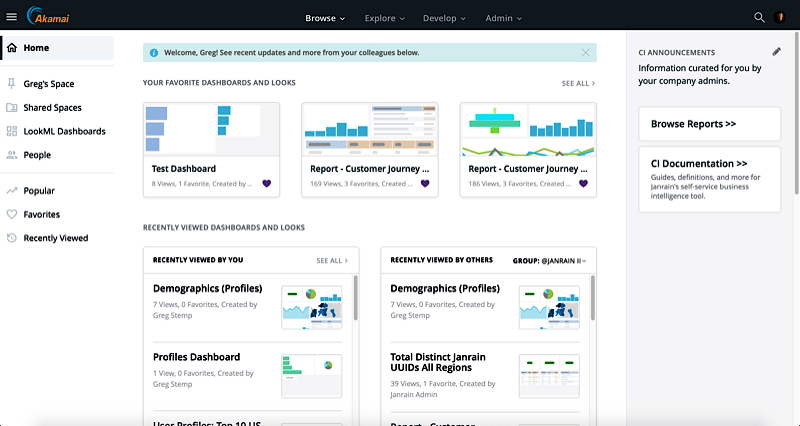 You’ll also see a link to the Customer Insights documentation, and, from time-to-time, notices about such things as upcoming webinars or new Dashboards. Can’t remember the name of that Dashboard you and a colleague were just looking at? Well, maybe you don’t have to remember the name after all. Note. Can you change your home page? As a matter of fact, you can: you can assign your personal space as your home page. See Personal Space for more information.